If you are reading this post on your laptop or desktop computer the chances are that you have some antivirus software up and running in the background. But what if you're using your phone or tablet? Are you still protected? And what about your Smart TV and games console; they connect to the internet as well, so are they covered from malicious software attacks? With so many of our household gadgets now connecting to WIFi there are a lot of things just sitting there, lacking any kind of security. That's where the Bitdefender BOX comes in. 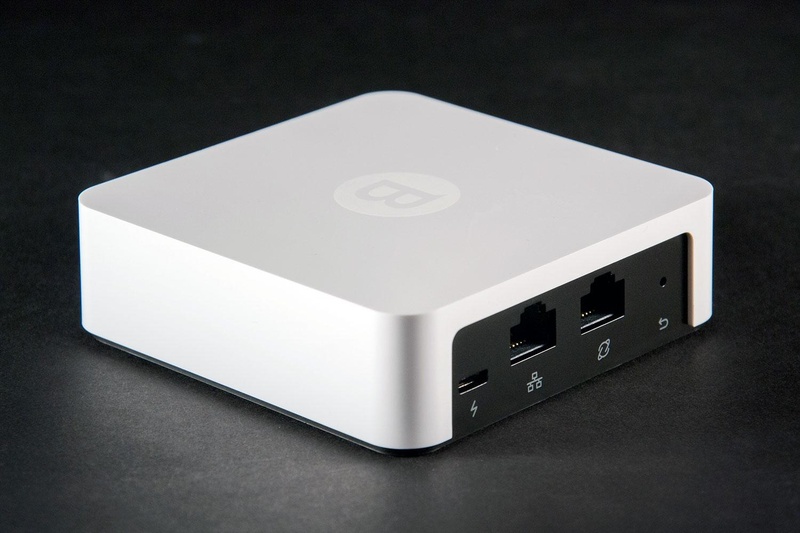 So the Bitdefender BOX is protecting everything on your home network, without the need to install separate apps and software on all of your devices – a timely and possibly expensive task. But how does the BOX let you know if your smart home lighting system is being hacked by some cheeky bugger on the other side of the world? Thanks to the Bitdefender app, available for iOS and Android, you'll get notifications as soon as something dodgy appears on your network. Although malware and spyware might be more commonly found attacking your laptop, there are an increasing number of nasties out there that have bee designed to target Internet-of-Things devices like smart fridges and WiFi security cameras. The Bitdender BOX is keeping a keen eye on all of that too, which we found to be a big relief – especially considering the amount of connected kit we have in Test Pit Towers. The box itself is exceptionally small at just three and bit inches across - far smaller than we were expecting. Because of this, once plugged in, it can just sit near to your router completely out of sight. It's one of those relatively expensive gadgets that you'll be glad not to see or hear from all that much. Set up was also very simple, and although the instructions said that some routers might need a wee bit of tinkering to work alongside the BOX, ours was fine and took only a few minutes to find the network and connect to it. After that we could use the free Bitdefender app to monitor everything currently happening on the network; from what devices were online presently, to diagnostic things like the speed of the connection. After a week of having the Bitdefender BOX we're happy to report that the coast has been clear. Just like installing a smoke and CO detector in your home, you get a wonderful sense of peace of mind; knowing as you do that you're covered in the event of a problem. However, smoke detectors can't tell you who is breathing the air in your house, but the BOX can. Even without the virus and malware protection, the Bitdefender BOX is still a powerful tool; delivering detailed reports and notifications about the condition of your home network. This is definitely a buy.